Tom and Kay Costello have sold their iconic Kay’s Gringo Postres and will be returning to the U.S. to be closer to family. The Costello’s came to Costa Rica 12 years ago and opened Kay’s Gringo Postres which quickly became the “must visit” place for gringos considering relocating to Atenas. Visitors could almost always find a gringo who had made the move already and would be willing to share their experiences and advice. Kay’s uncanny memory for names and faces made everyone know they would always be welcome at Kay’s Gringo Postres. Many recall with fondness, how they would have lunch at Kay’s during a tourism visit and return six months later and have Kay call them by name as they walked into the open air restaurant. A feature of the restaurant that attracted local gringos to return was the free lending library. Donated books were available for anyone to check out on the honor system. 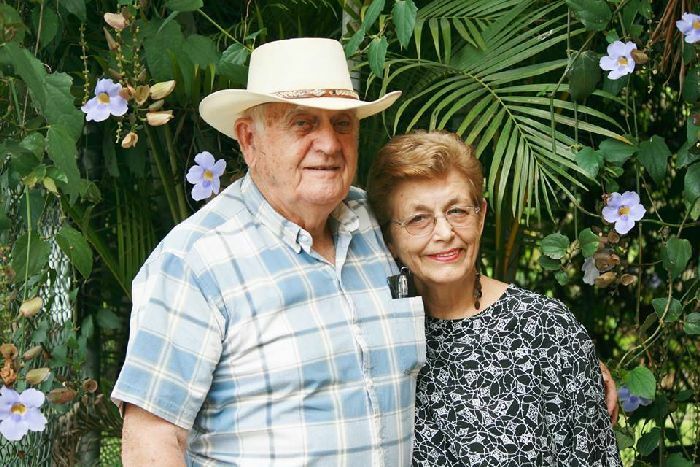 Tom and Kay Costello made a big impact on the local community by establishing a fund-raiser for Hogar de Vida, a local orphanage. Their Chili Cook Off has raised thousands and thousands of dollars to benefit the children. AS FOR OUR FAMILIES HERE I WILL NEVER STOP LOVING YOU AND FOR THE ONES STATE SIDE SEE YOU SOON. MAY GOD BLESS AND KEEP ALL OF YOU IN HIS LOVING ARMS. Their departure from Atenas will leave a hole that probably cannot be filled.